With today's commute I have officially ridden 1000 miles this year! It's the furthest I have ridden to work in the 6 years I have been doing this. 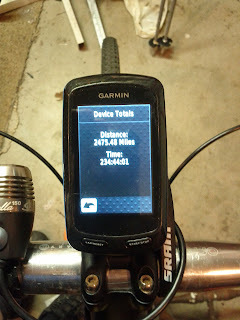 Past totals never broke the 500 mile mark, although I came close a few times. This year I wanted to best everything and I have done so with still more good riding weather for at least two more months! 40% was done on the Qball as a singlespeed and 60% on the Cannondale but the distribution of rides per bike is almost even, 17 on the Qball and 21 on the Cannondale. Next year I want to increase the number of my bike commutes per year. 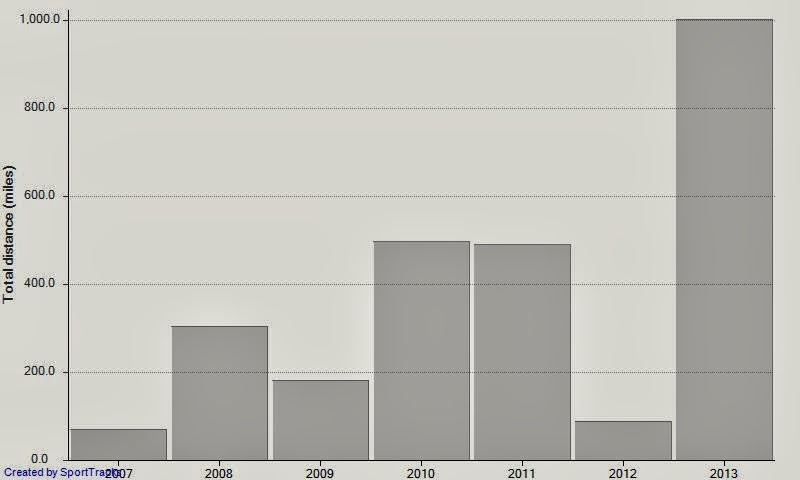 I will be lucky if I hit 50 rides this year but next year I definitely want to try and surpass that, too. My all time commuting mileage now stands at 2,634. And I can't believe you did a graph, lol. Very geeky. Finn, actually I have a program called SportTracks that I use to track my mileage. It's been around long before Strava and all those other sites.